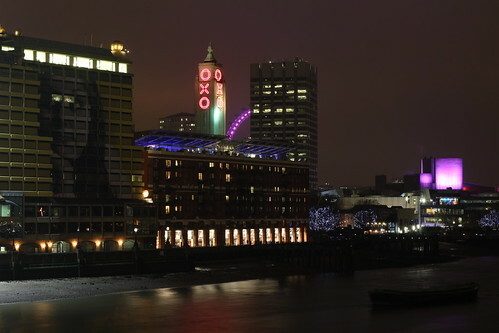 Oxo Tower, originally uploaded by Alan Perryman. Before I went for cocktails at Cafe Kick yesterday, I aimlessly wandered EC1 with my SLR looking for things to shoot. The full set is at http://www.flickr.com/photos/grimnorth/sets/72157625438184008/with/5195519338/ but I’ll be picking out a few more to show off during the course of this week. If you’ve been in London this week you may have been asked for some loose change by people with buckets. 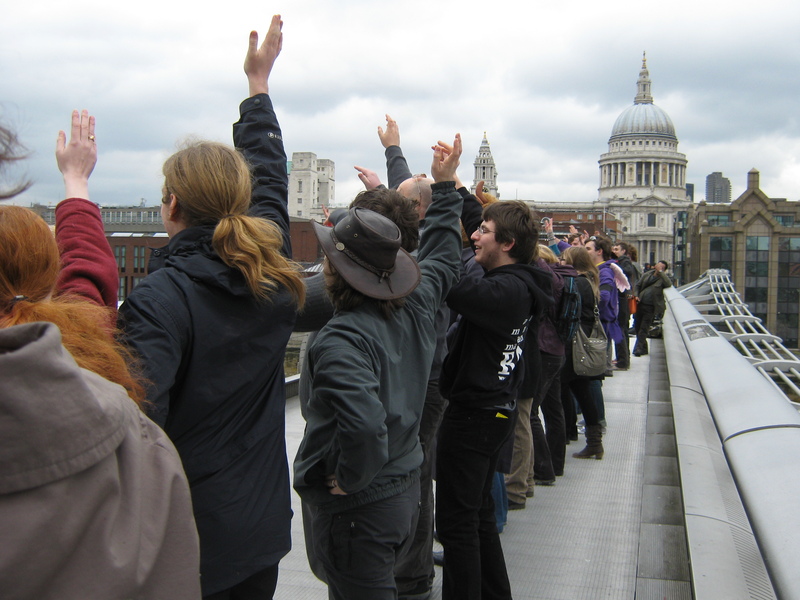 The Easter week sees Meningitis Research Foundation descend into the city with a few students and a lot of enthusiasm. This year they managed an awesome £50K but still had some energy to expend with a conga. 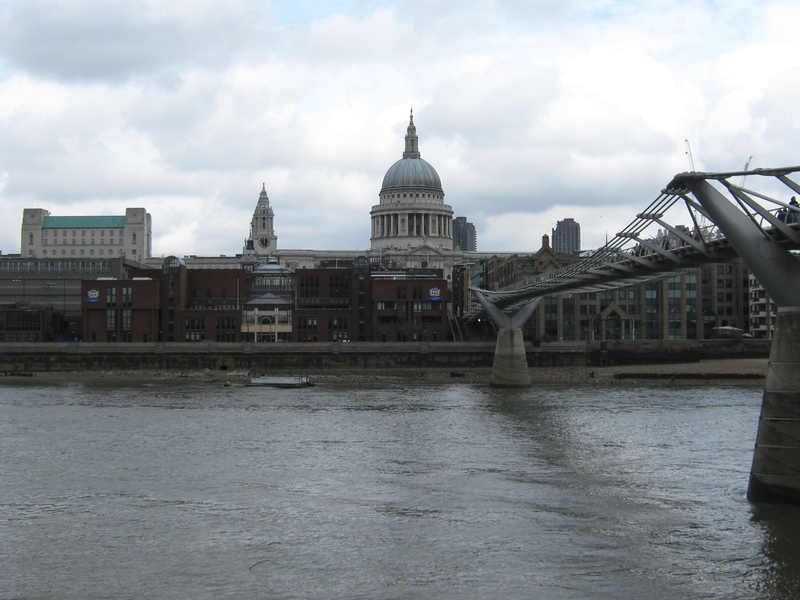 And so 40 or so made it to the north bank without any sway of the bridge and another year was done. With thanks to Ragabonds for organising the conga again. Last night I got the chance to queue for Have I Got News For You. It’s the kind of stuff London dreams are made of (well, a few of them) and a great reason for living in the city… Having queued and been disappointed before we headed off early arriving about 1h30 before doors! 1½ hours of cold didn’t matter too much when we got into the studio. It was widely reported beforehand that one guest would be Bob Crow, leader of the RMT so perhaps it could be a great setup. Alas, as another blog notes (http://www.ianvisits.co.uk/blog/2009/11/27/bob-crowe-on-have-i-got-news-for-you/) it was not to be. Pitted against Bob and Paul were Ian and Jimmy Carr. Bob came on to a chorus of boo’s. There were the inevitable late and strike jokes. Bob hit back with some assumptions about Ian’s upbringing. There were awkward silences many “moving on” moments. Nevertheless, if you get the chance to go – do it. Be prepared to queue for ages, it is worth it. Today I took my lil’ sister to the tate. I’m not really an arty-type in the sense of paintings so this could have been dreadful. Thankfully, it wasn’t. The main hall is a fantastic space. Currently a large Ikea-coloured bunkbed, spider and film filled place. Some of the smaller galleries I could take or leave, but there was a few where you could spend ages just absorbing. 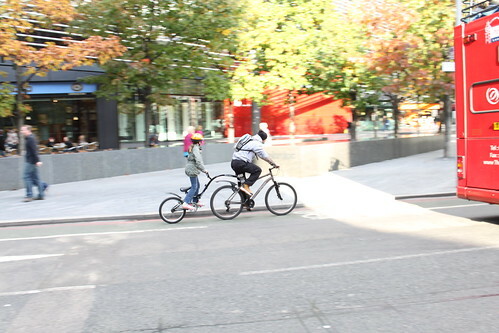 Definately worth a visit if you happen to be on the south bank….